Latest slow life simulation game due out February in Japan. 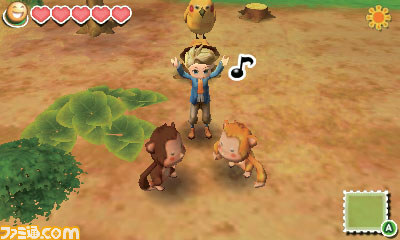 Famitsu.com has gone up with its online preview of the newly announced Harvest Moon: Linking the New World, providing our first look at the upcoming 3DS title. One winter’s day, our protagonist, spending everyday the same way, was looking to add some spice to his humdrum life. Then he saw a flier that said, “Wanted: new farmer! Would you like to work with me?” Thinking that being a farmer might be just the spice he needed to change his life, he submitted the paperwork to the farm in Oaktree Town right away. One week later, he received notice that he made it through to the trial farm phase. Thrilled to begin his farming life, he sets out for Oaktree Town. 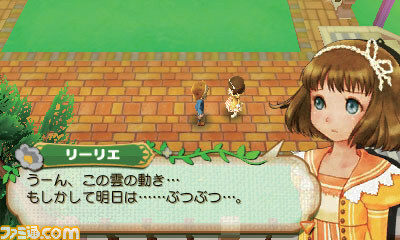 As the main character, you have just moved to Oaktree Town, longing to become a farmer. Your farm will be the stage for your new life. 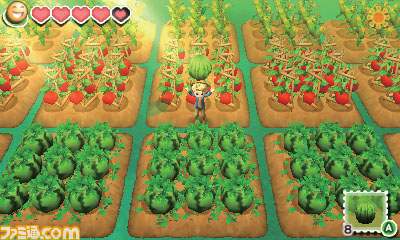 In the fields, you’ll grow various crops while repeatedly harvesting and shipping, and steadily growing your farm. There are other farmers in Oaktree Town, too, like young lady Elise, spunky boy Fritz, and old lady Edda. They are your friendly, more experienced neighbors who will understand you well. You’ll be able to assist your fellow farmers while, at times, also competing with them and enjoying a bustling farm life. As you progress through the story, you’ll eventually be able to go to a place called the “Safari.” In this “Paradise of Animals,” wild animals freely roam about. This game will offer new animals to assist, and the types of wild animals that appear in the Safari will increase as the story advances. Confirmed animals set to appear include Angora rabbits, parrots, and reindeer. 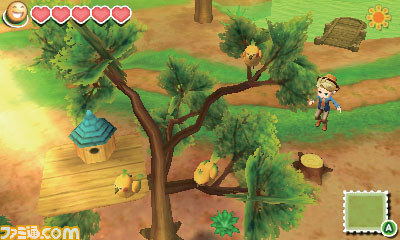 Harvest Moon: Linking the New World is due out for 3DS in Japan in February 2014.